This entry was posted in ammunition, pistol, self-defense and tagged 380ACP, AllOutddor, keltec. Bookmark the permalink. Love to get a few cases of these! That is some scary looking ammunition. In what other calibers is it available? Looks like great defensive load that will not over penetrate the target. 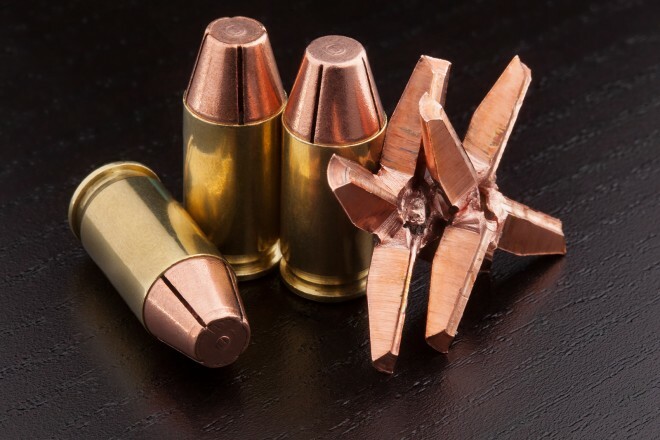 9mm, 40SW, 357Sig, 357Mag, 45ACP. On the acquisition list this goes! Pingback: SayUncle » R.I.P. R.I.P? OMG the panic. These look like COP KILLERS.